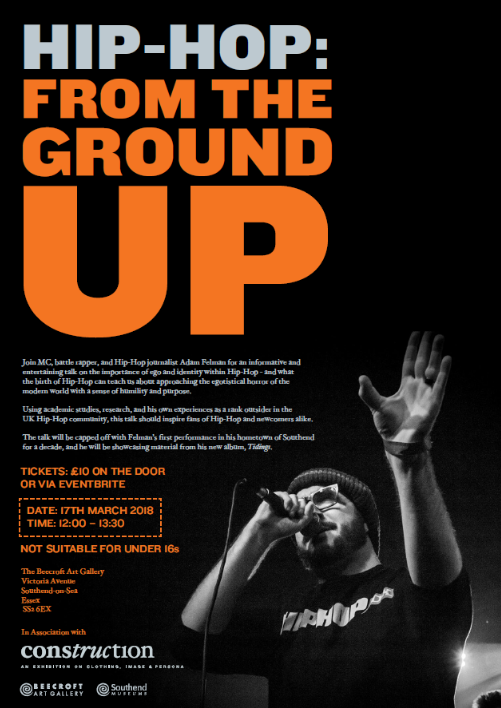 Join MC, battle rapper, and Hip-Hop journalist Adam Felman for an informative and entertaining talk on the importance of ego and identity within Hip-Hop – and what the birth of Hip-Hop can teach us about approaching the egotistical horror of the modern world with a sense of humility and purpose. 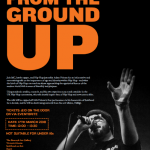 Using academic studies, research, and his own experiences as a rank outsider in the UK Hip-Hop community, this talk should inspire fans of Hip-Hop and newcomers alike. The talk will be capped off with Felman’s first performance in his hometown of Southend for a decade, and he will be showcasing material from his new album,Tidings.